Leave the Chalk & Calculator at Home! Don’t rely on misleading win/loss records! 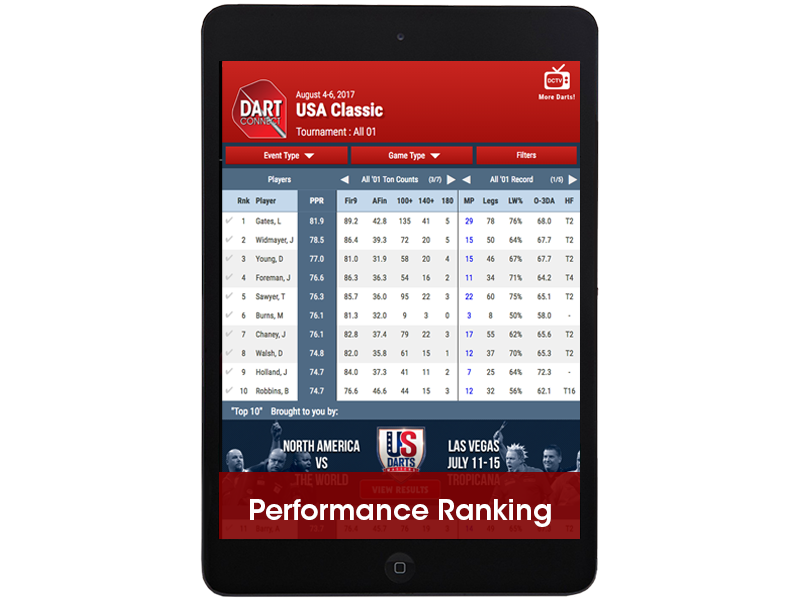 DartConnect will show you how well you really played with automated performance tracking. Play anyone, anytime. Your connections will grow as you play at home, the pub, at events and league night. 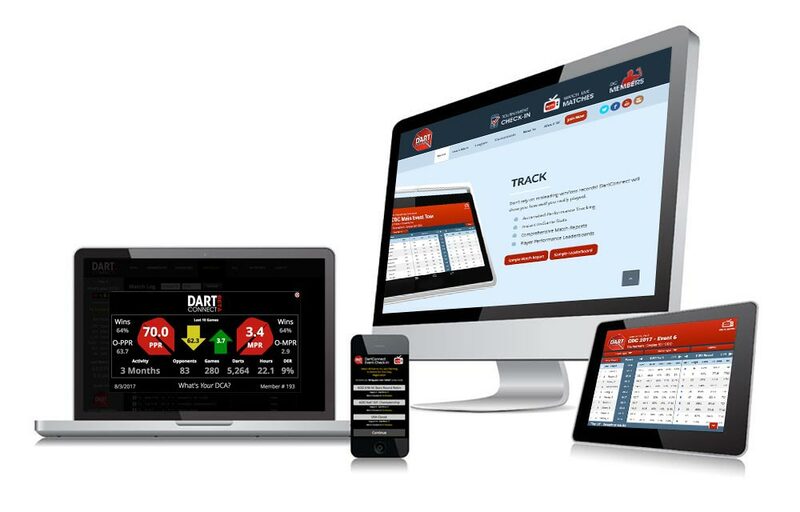 DartConnect will effortlessly track win/loss records and performance history, without any additional effort on your part. More Players. More Darts. More Often. Compete online and play against friends anywhere and anytime. Connect with distant friends for a quick match or a serious practice session. 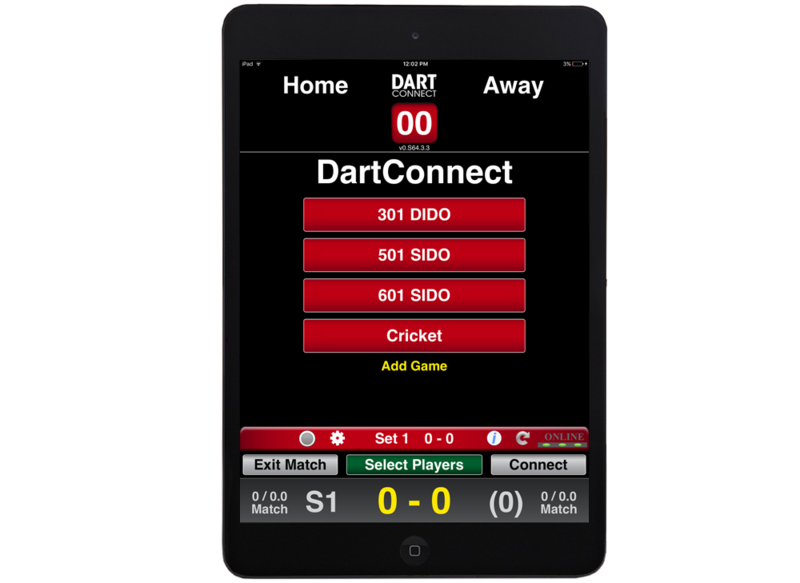 Select a challenge level and play against DartConnect. “Adaptive Play” will enable DartConnect to adjust to your level of play for each leg. Computer can simulate timing of a real player or you can adjust for no delay. The first step is to master the mechanics of a consistent throw. 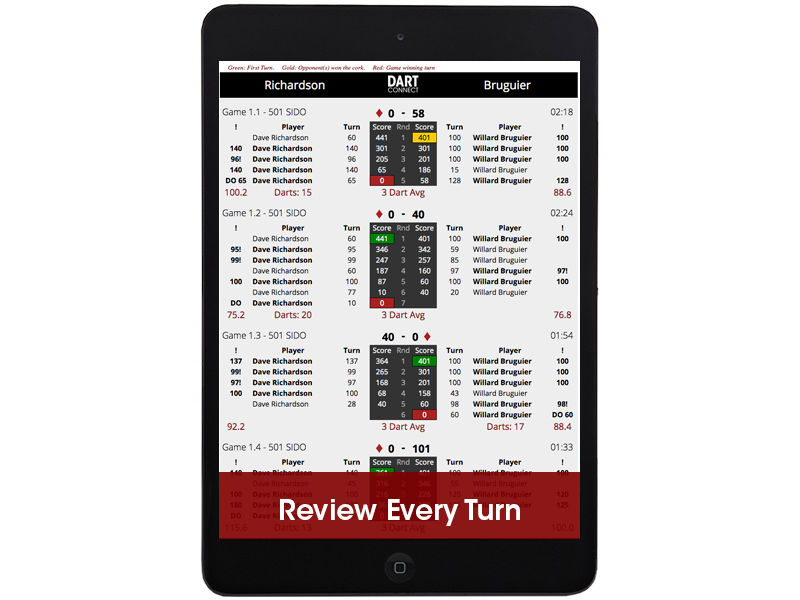 DartConnect simplifies the scoring and strategy, so you can focus on this critical step. Use the integrated calculator functions to record your turn. Activate the optional suggested checkouts to learn the pro finishes for ’01 games. Ready to take your game to the next level? 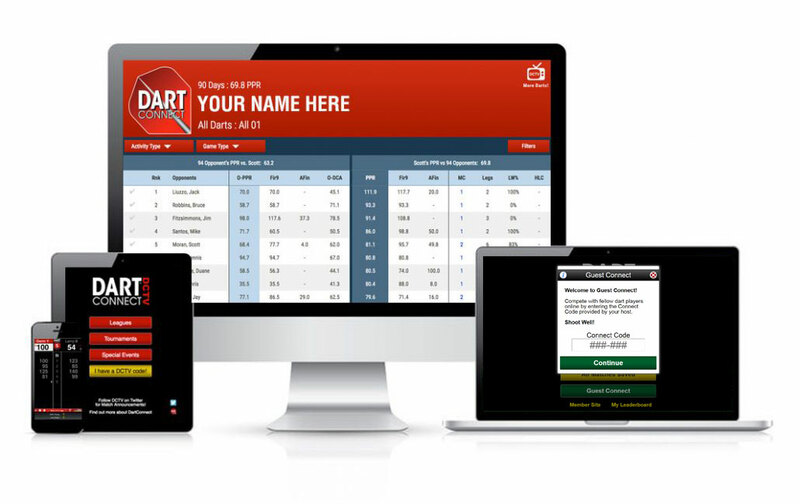 Utilize DartConnect to spend less time scoring and tracking! Know your Dart Math? 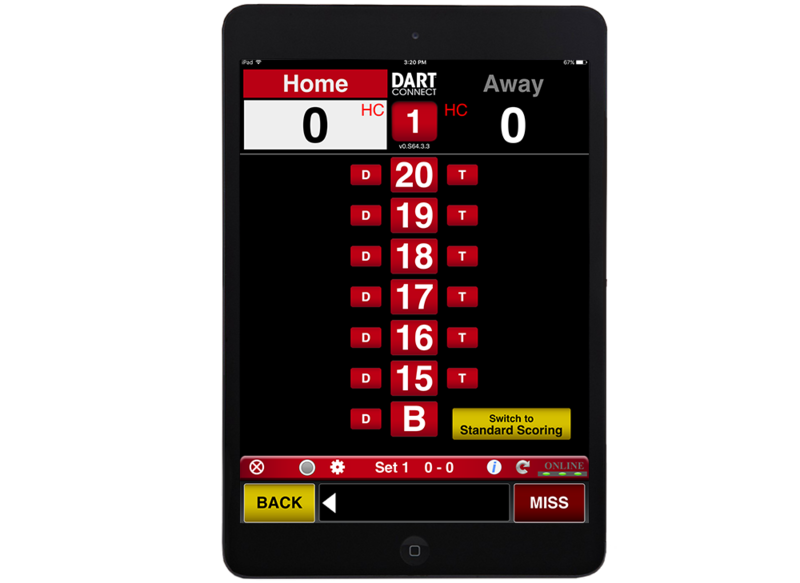 Use the keypad or quick keys for one-touch scoring. 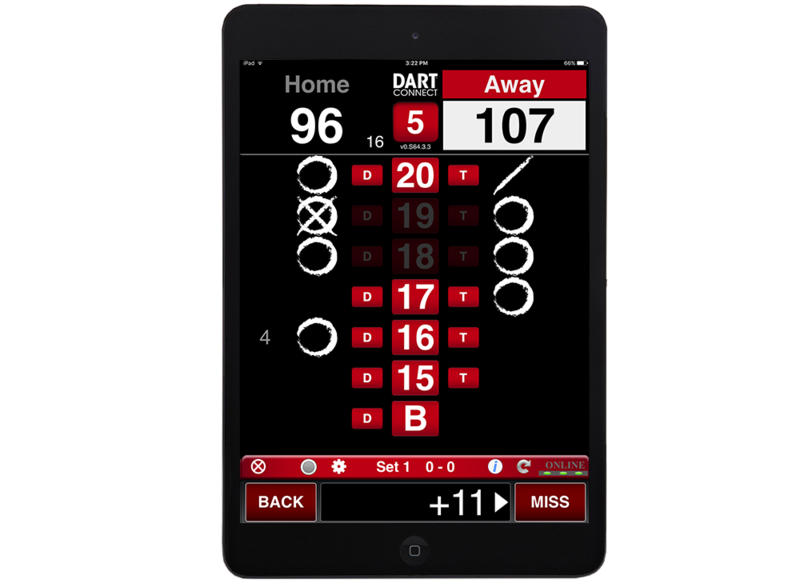 Dedicated double and triple buttons speed up scoring while providing expanded insights, including your Missed Dart % and Triple Accuracy. 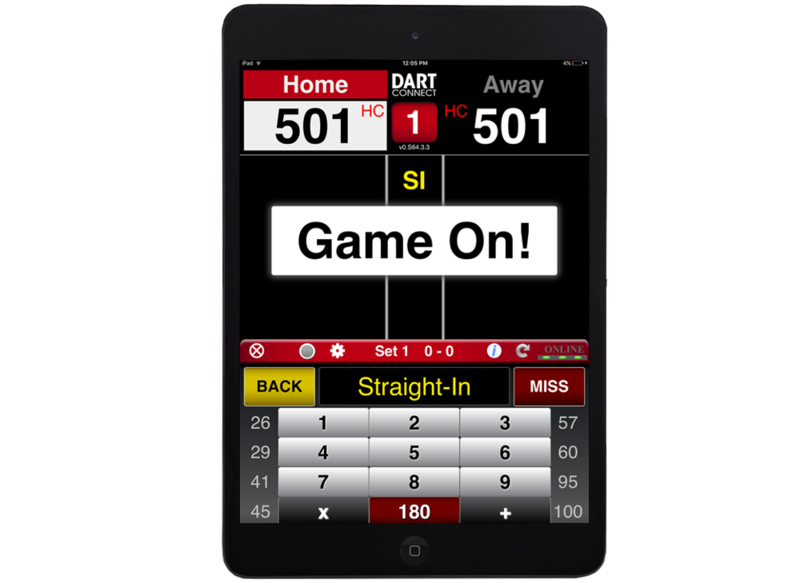 DartConnect keeps you appraised of your performance throughout the match. 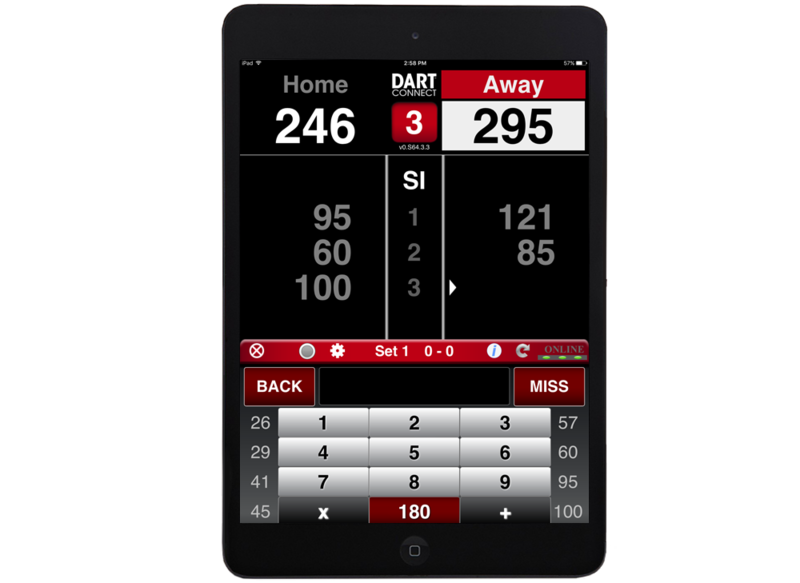 Review the high level match stats before you even put away your darts. How Did You Really Do? The average points thrown per turn when playing 01. The average marks thrown per turn when playing Cricket. 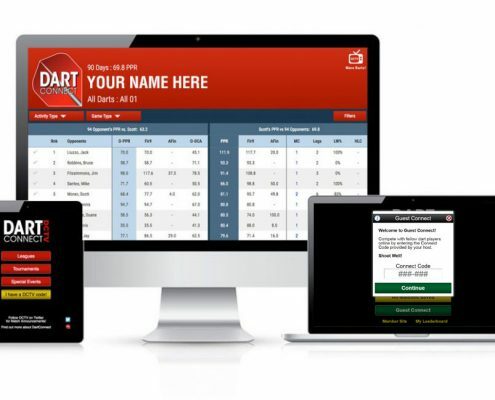 Every DartConnect membership includes a Personal Leaderboard to track your win/loss records with friends and rivals in the DartConnect Community. With a clear understanding of relative skill levels, practice matches and Handicap Leagues can utilize this option to enable both participants an equal opportunity to work on their finishing and game shots. Know Someone Who Likes to Watch? DCTV provides dedicated channels so friends, fans and rivals can follow the action at events and leagues. 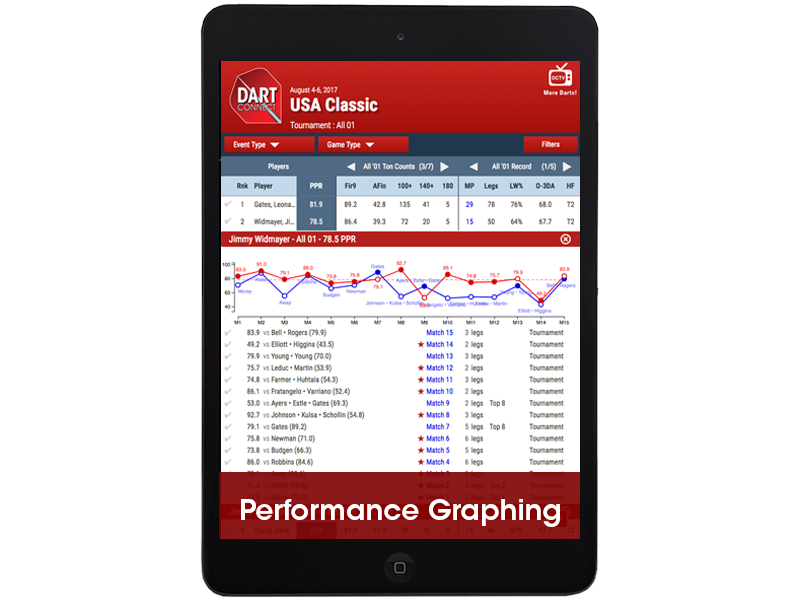 The scoring application has been optimized to run offline, to ensure that you can use it anytime, anywhere. 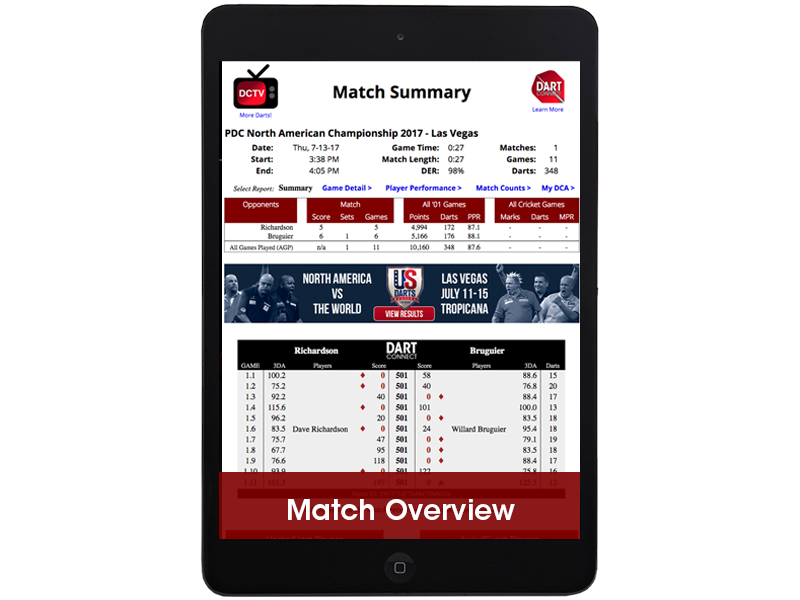 When you get home, all matches will be saved to the DartConnect platform, initiating the process of sending out player match reports and updating leaderboards. DartConnect finished 2018 GMT with over 185 Million Darts, eclipsing 2016 by more than 77 Million. Thanks for all the support, and shoot well in 2019!